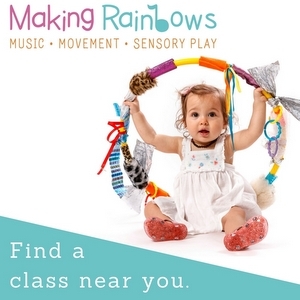 Making Rainbows provides an educational music, movement and sensory play program for children from birth to 5 years. 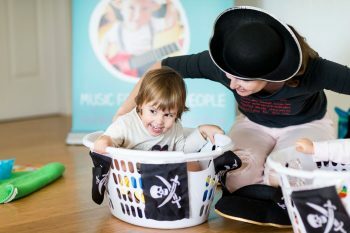 The research-focused curriculum is designed to help families develop a deeper bond with their child. 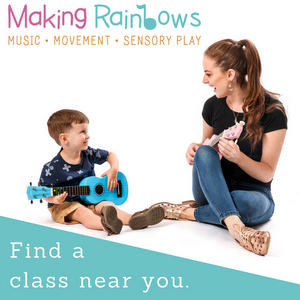 Making Rainbows was founded in early 2015. 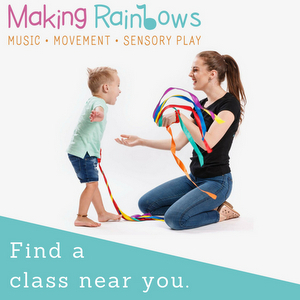 Since its humble one class beginnings, Making Rainbows now offers 36 classes each week in 17 locations around Brisbane and Toowoomba. 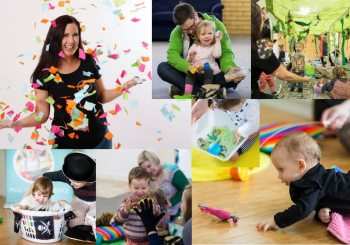 Bernadette Clegg is the founder and CEO of Making Rainbows. Trained as a specialist teacher, Bernadette began her professional journey in early education. 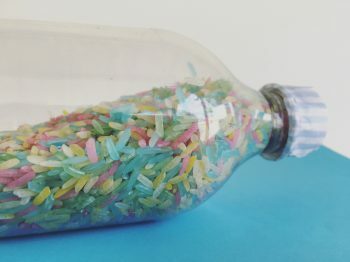 What she found most rewarding about teaching was the opportunity to form connections with both the children and their caregivers. Years of teaching strengthened Bernadette’s belief that connection needs to be at the heart of learning. With this belief in mind, Bernadette resigned from her teaching position in 2015 and created Making Rainbows. She felt she could better support families by combining her teaching experience and passion for facilitating and building relationships. 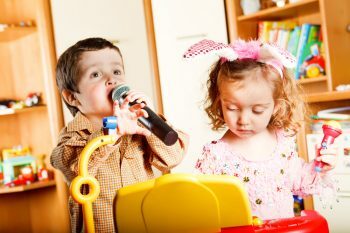 Research shows strong links between exposure to movement, singing and playing with children under five years of age and future development success. Making Rainbows caters specifically to this age bracket with two types of classes.